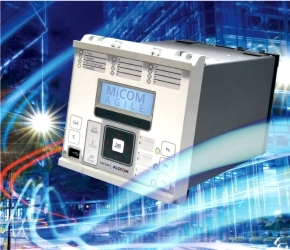 MiCOM Alstom P341 also includes Dynamic Line Rating (DLR) protection to optimise transmission line capacity. Gains of 50% or more can be achieved, enabling more distributed generation (DG) such as wind farms to be connected to the grid, by taking into account the real time weather conditions to calculate the line rating compared to using the fixed summer/winter line ratings. DLR is a cost effective alternative to reinforcing overhead lines to increase capacity and there are also benefits to the wind farm owner in that higher revenues can be made with a higher line rating.